As the first law firm to win back-to-back annual awards, Bricker took home the 2018 Relativity Award for “Best Law Firm or Corporation Innovation” at this year’s Relativity Fest e-discovery conference, held September 30–October 3, 2018, in Chicago. Standing alongside global company Deloitte and Australian firm Clayton UTZ, the two other category winners, Bricker dazzled the legal tech community – and the judges – with its Petition Analyzer solution. Using Relativity software as a basis, the firm’s litigation support team built a custom solution, now known as Petition Analyzer, to help a client address out-of-state interests engaged in questionable practices while collecting the 305,000 signatures needed to get a proposed Constitutional Amendment issue on the November 2018 general election ballot. The team developed a highly-automated application to fully review part-petitions on behalf of the client. The application identifies deficiencies by scanning the petitions against other data sources, including ID and address records. Key data can be extracted and useful reports can be generated, allowing attorneys to investigate large-scale trends generated by the system and build their case using accurate statistics. 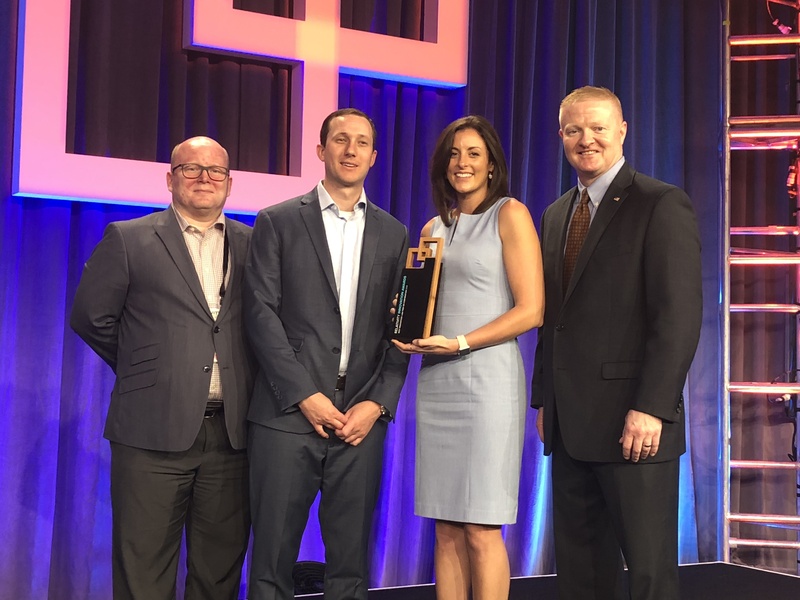 Last year, Bricker was the recipient of this same award for the firm’s development of its Landtracker app. Landtracker organized information related to thousands of real estate documents and managed the individual data of multiple landowners, tracts and lawsuits on behalf of a natural gas distributor. In 2017, Bricker was the first law firm to earn awards from both Relativity and ILTA. In 2018, Bricker became the first to take home Relativity’s top prize two years in a row. Several members of Bricker’s Litigation Support and IT team, led by David Hasman, Lauren Curto and Aron Fisher, attended Relativity Fest and presented at the conference, demonstrating the firm’s national and global leadership in legal technology.